Originally published under the title, "Is ISIS Islamic, and Other 'Foolish' Debates." ISIS has shown an impressive ability to find opinions justifying its actions from bona fide (if largely medieval) Islamic jurists and theologians. "Do they think we are Jewish now? lol," responded one ISIS fighter in Syria when asked for his thoughts on the current public debate about whether the Islamic State is actually Islamic. He went on to make an argument, as many of these fighters often do when interviewed, that not only is the Islamic State Islamic but it is the purest and most pristine form of Islam, the kind most in line with what God and His Prophet had intended all along. Another ISIS fighter from South Africa, when asked how he knew that the Islamic State was legitimate, remarked that "I just used my brain." "The truth is never endorsed by the masses," he said. "It's always the smallest groups that are firm in truth. Migration becomes compulsory when a caliphate is established on the foundations of Sharia Law, and Muslims around the world have no valid excuse to remain amongst the infidels in enemy lands." This line of argument by members of the Islamic State and, to be sure, numerous other Salafi-Jihadi movements creates a major dilemma for Muslim communities around the world. How are they supposed to deal with violent movements within their faith, tiny in number but claiming greater religious authenticity, and greater claim to the truth? While this question and the debate surrounding it has been a persistent undercurrent in Western societies since 9/11 at least, the most recent spike in the conversation occurred after Graeme Wood's cover story in the Atlantic and the numerous responses that followed. It was a welcome conversation, even if, as Wood himself recently noted, the "debate is mostly foolish." 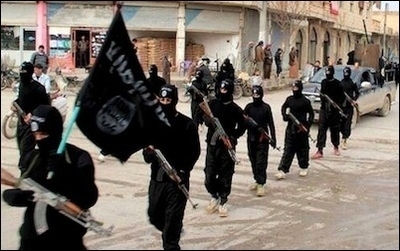 Arguing that ISIS isn't "Islamic" in a normative sense is false and misleading. It is indeed foolish for a few different reasons. Firstly, the debate is largely between an "academic" view of Islam and the divisions within it, peaceful or otherwise, and a normative view of Islam, which seeks to distance the rigid, conservative, and violent forms of the religion from the one practiced by the vast majority of Muslims around the world. To argue that ISIS isn't "Islamic" in a normative sense is to argue, to some degree, that Salafism isn't a branch of Islam and that jihad isn't a noble concept in the religion, arguments that are false and misleading, and severely hinder attempts to understand these movements properly. While there was some discussion following 9/11 about whether "Al-Qaeda was Islamic", the debate wasn't as heated as it is today with the Islamic State. Al-Qaeda was in many ways easier to set aside – they were strange men with beards living in far off caves. When Muslim youth in Western countries join in significant enough numbers, it raises the question of Islamic authenticity more acutely. This happens even though Al-Qaeda and the Islamic State are not all that different in their commitment to violent Salafi theology. The only difference, as Cole Bunzel recently pointed out, is that ISIS practices it "with greater severity." Secondly, what has been missing from virtually all the articles written on the topic thus far is a sustained analysis of ISIS primary documents and actual interviews with jihadi fighters in Syria and Iraq. Looking at ISIS documents, murals, billboards, media releases, and other publications, as well conducting interviews with fighters themselves, offers the best insight into the sources of inspiration for the group's ideology, which defies simple characterizations. Most broadly, ISIS' ideology is based on a narrative that is well-known, that the Muslim world has been in decline due to the lack of a Caliphate under which Muslims can fulfill their faith by living according to Islamic Law. The state of the Muslim world today is contrasted with an idealized period of history – the so-called 'Golden Age' of Islam, not only referring to the 'rightly-guided' caliphs who immediately succeeded Muhammad but also the Umayyad and Abbasid Caliphates extending through the medieval period that saw the Muslim world further ahead in scientific and human development than the West. ISIS documents and publications show respect for the four traditional schools of Sunni jurisprudence developed during the medieval period. As a result of this projection onto an idealized medieval period, ISIS documents and publications do not adopt a mere 'back to basic sources' approach (in this case, the Qur'an and Sunna embodied in the hadith and life of the Prophet). Rather, great emphasis is placed on showing respect for the rulings and opinions of authorities of the four traditional schools of Sunni jurisprudence developed during the medieval period. To be sure, that does not mean no authority is given to modern jihadist thinkers or the Salafi-Wahhabi purist 'reform' trend dating back to the 18th century often invoked to describe ISIS' inspiration. While statements by Abu Mus'ab al-Zarqawi, Osama bin Laden, Sayyid Qutb, and Wahhabi scholars can all be found in detail in ISIS documents and publications, there are also considerable documents citing opinion from the four schools of Islamic legal tradition. For example, in a statement distributed in the Fallujah area on offering prayers on Eid al-Adha and Eid al-Fitr, three differing categories of opinion are given on whether the prayers are obligatory, citing all four schools to illustrate the range. In other instances, the concept of ijmaa (consensus) among the Ahl al-'Ilm (theologians, jurists etc.) is stressed, such as in a Friday sermon for Ninawa province mosques on the division of the world into the abodes of Islam and disbelief. One could go on, but it is in the realm of IS fatwas in particular – issued by its Diwan al-Eftaa wa al-Buhuth – where the impressive ability to find opinions from medieval jurists and theologians is laid bare. Many of them are unknown to most of the outside world, including contemporary Muslims. The best example is the fatwa ISIS issued to justify burning alive the Jordanian pilot, deemed an 'apostate'. Many were quick to say this practice is absolutely condemned in Islam, but ISIS cited Hanafi and Shafi'i jurist opinion to claim it is permissible, including specific citation of a 15th century Egyptian Shafi'i jurist. Though the Islamic State's approach can be dismissed as "selective quoting" of tradition, the fact remains that ISIS' critics can be accused of the same thing. The problem is that with such a huge corpus of Islamic literature and no central infallible authority like the Pope to regulate teachings, many of ISIS' actions, seen as heinous in this day and age, can find a place within the vastness of Islamic tradition. We may dismiss such evidence by claiming that ISIS is only citing them in order gain legitimacy and credibility among its followers, but that's precisely the point: they feel reassured that they have a coherent theological basis in their actions. Of course it is inaccurate to say that ISIS is Islam en bloc, but to label the movement un-Islamic is to take a normative, and ultimately self-defeating, stance. It is an argument which ignores some very basic evidence regarding the movement and its history, and impedes proper understanding of what they believe and where they are heading. Aymenn Jawad Al-Tamimi is a Shillman-Ginsburg Fellow at the Middle East Forum. Amarnath Amarasingam is a postdoctoral fellow at Dalhousie University.